The combination of US ethanol prices at 12-year lows and soaring prices in Brazil has opened a wide arbitrage to import anhydrous ethanol from the US. “We see a potential anhydrous export from US to Brazil of 250,000 cu m in February and further 200,000 cu m in March,” said a US-based trader. A large Brazilian trading company estimated that January to March the total volume of anhydrous imported from US might reach 712,000 cu m, being 270,000 cu m arriving through the Center-South ports and the balance 442,000 cu m through North-Northeast ports. Estimates from S&P Global Analytics point to Brazilian imports from the US of 650,000 cu m in the first quarter of 2018, split between 250,000 cu m into the Center-South and 400,000 cu m into the North-Northeast. After the January-March period imports from US were estimated by a source to drop to 120,000-140,000 cu m per month. Despite the open arbitrage, a logistical bottleneck might hamper the high volume expected to leave US ports. 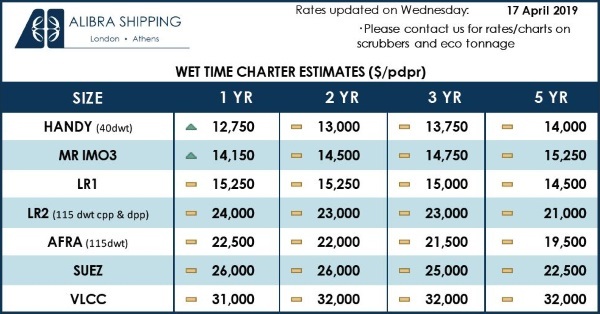 “It has not been easy to charter motor tankers and find terminal vacancy. The demand from other importers has been strong too,” said a US exporter. Products ranging from sugar to oil products flow through Brazilian ports, both as imports and exports. The competition for space in tanks can create logistical headaches. “Many other countries [are] buying, so they compete for trains and dock space,” said another trader. Demand for diesel and gasoline imports is much larger than for ethanol. “I have estimated that there should be 20 full-size midrange vessels of diesel per month and five-seven full-size midrange vessels of gasoline [in 2018],” said a US broker. Offers for the Brazilian anhydrous specification, ANP, were also limited as not every US producer can make Brazilian specification. S&P Global Platts has recently updated the premium for anhydrous ANP grade to 15 cents/gal from 10 cents/gal over the front-month Chicago ethanol swap to calculate the arbitrage from the US to Brazil. The higher premium reflects the difficulty in finding ANP product from US plants. Unlike Brazil’s Center-South, its North-Northeast frequently imports anhydrous from US as it has a structural deficit of ethanol. The North-Northeast also offers certain tax benefits when importing ethanol, lowering the net cost. 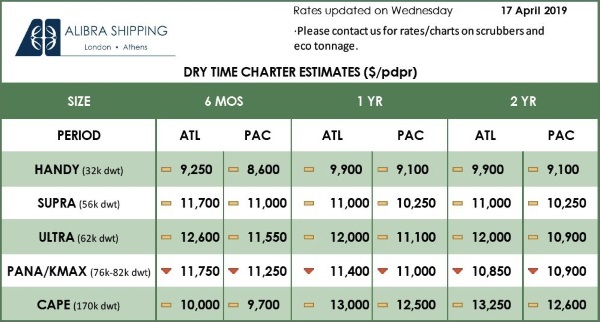 Imported anhydrous ethanol from the US could land in the port of Suape in the North-Northeast at Real 2,143.19/cu, according to S&P Global Platts’ arbitrage calculation. Considering the S&P Global Platts anhydrous ethanol assessment DAP — Delivered at Place — Suape on Friday at Real 2,240/cu m, there was an open arbitrage of Real 96.81/cu m to import anhydrous from the US. The S&P Global Platts DAP Suape assessment is published weekly on Fridays. The Brazilian anhydrous ethanol price started to climb at the beginning of the Center-South intercrop period in early December. It rose from Real 2,010/cu m on December 1 to Real 2,110/cu m on January 8, the highest level since the previous January. Anhydrous ethanol prices reflected the surge in hydrous ethanol, as anhydrous is priced at a premium to hydrous ethanol after excluding the ICMS tax. Hydrous ethanol has seen strong demand since August 2017 after gasoline price increases announced by Petrobras, the state oil company. Anhydrous ethanol is used in Brazil at a 27% blend ratio into gasoline, while hydrous is used directly in flex fuel cars. Ethanol is more competitive at pumps until its price reaches 70% of that of gasoline, so hydrous reflects any gasoline price movement. Center-South Brazil could meet its own demand for ethanol without importing anhydrous from the US, but the wide-open arbitrage is attracting traders’ attention. With the North-Northeast’s structural deficit profits are larger sending ethanol there as the arbitrage opens at lower prices. “The arbitrage is open more in the North-Northeast, so there is more product flowing there,” said the US broker. Anhydrous ethanol production in the Center-South was recorded at 10.77 billion liters in 2017, up 0.5% year on year, while sales from mills to the domestic market in the same period was at 9.75 billion liters, down 7.1% in the same period, according to data from industry association UNICA. Looking for the estimate for the next crop in the Center-South — April 2018-March 2019 — 55% of the sugarcane will be directed towards ethanol, up from 53.07% in the current season, according to the latest projections by S&P Global Platts Analytics. The benchmark Argo ethanol market, the primary reference for US ethanol, tumbled to 12-year lows in early January as cold weather caused problems moving product out of the Argo, Illinois, terminal. Ice along the Mississippi and Illinois rivers reduced barge carrying capacities and drove prices lower. With prices low, buyers stepped into the market and added some support, but the logistical issues created some headaches moving product to the main export hubs of Houston and New York Harbor. “Guys would love to take February exports but things are just too tight,” said another US broker. Even so, ethanol prices in the US remain comparatively cheap for blending. Prices have climbed the past two days in the Argo market as February brought new life to the market with January’s hedging activity moving into the past. Demand for US ethanol is likely to keep exports moving out of the country. Cheap feedstock prices and the scale of the US industry frequently means a robust export program for domestic producers. And with special equipment needed to produce international specification producers can find a premium for export product.